Maxi-Jet® multi-use water pumps are three pumps in one: power head, utility pump, and now featuring a circulation pump option. Still the best power head for powering undergravel filters and running wave maker timers, as well as for running small fountains, calcium reactors and skimmers. 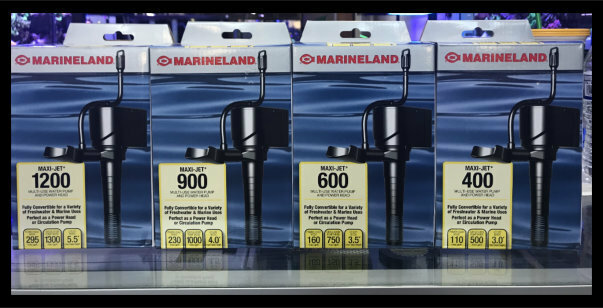 The Maxi-Jet also contains an in-box conversion kit, which can turn the power head into a prop style circulation pump for ultimate water movement inside the aquarium--using the least amount of energy! The Maxi-Jet is the most fully adaptable pump available.